Inspired by the work of traditional American artists such as Winslow Homer and Andrew Wyeth, Applegate's paintings capture ordinary moments in the day, filling them with special light. Award winning work by the artist can be found in private and corporate collections throughout the United States. 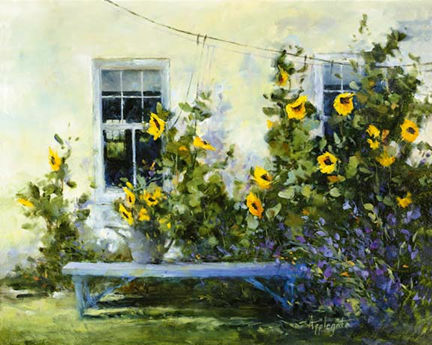 Barbara offers paintings, prints and painting demonstrations on her website, www.barbaraapplegate.com.